The BL-50 sonic head puts out 50,000 lbs. of force, 7,000 lbs. of rotational torque and has 0-90 degree tilt capacity. 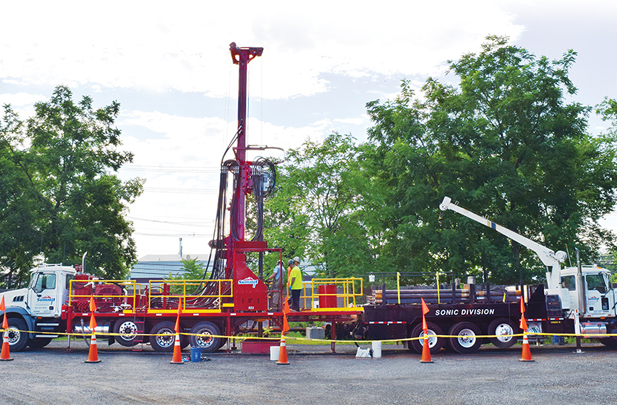 Coupled with Summit’s expertly trained drillers, consultants can expect absolute precision, highly efficient footage advancement, uncompromised sample quality and above all – safety. Summit’s BL-50 and highly-experienced drillers take on sand, gravel, cobbles, boulders or bedrock – no problem! Get detailed specifications on our new BL-50, as well as all of our equipment fleet on our Equipment Roster. Experience the Sonic difference with Summit. Call 800-242-6648 to speak with one of our veteran project managers. Need a Project Proposal? Click Start-A-Project and upload your Scope of Work. In most cases, we’ll have an estimate back to you within 24 hours or less.